We actually invited our good friends and neighbors over for dinner. We had a delicious meal and some great wine and I taught them how to make bagels. So we'll all have bagels for breakfast tomorrow morning. They are such great friends. It was wonderful to spend some time with them. Now we'll probably chill out with the pets and watch a movie! 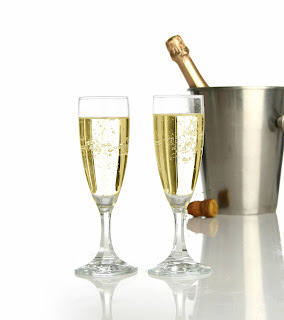 Have a fabulous night what ever you do and where ever you go! And I'll see you in the new year. So, as to be expected, the shoes coming on the scene for the next season are airy and colorful. Vibrant shoes with streamlined styles that let the color take center stage. They aren't overly embellished or precious. And definitely not pastels! So here is one of 2007's "It" shoes - the YSL Tribute platform. Personally I thought is was only okay and while I like the white heel, I thought the platform was ridiculous. No matter how many stars wore it. 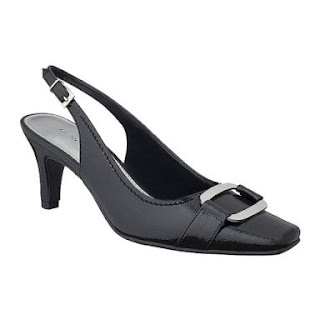 I much preferred the non-platform slingback which is what I got. So when I see this new version of this shoe I just think it is a sad desperate attempt to try and recapture that top spot status again this year. I mean, I know they will be popular because they're flashy and all but they really are not attractive. 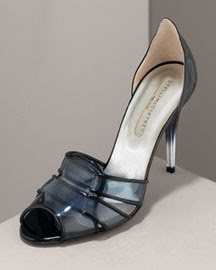 Would you wear these if the price were not a barrier (they're $690 at Saks)? By the way, there is also a woven leather version for $760, if you are so inclined. They may be a little "jazz shoe" but I love the way the silver looks as if some gorgeous powder got dusted all over the front and heels as if you were kicking up stardust. Above is the Bianco/Quarzo and below is Bianco/Ananas - I love the delicate taupe but think the yellow is much more striking. I know these Prada Vernice Sfumata Mary Janes are kind of a Fall holdover but with the taupe front they would be light enough for the warmer months, especially if you need a good work shoe. Bergdorfs, $550. 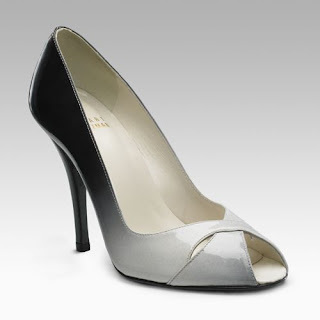 These Stella McCartney Vinyl d'Orsays have a shaded heel and are very pretty with their bluish smoke grey vinyls front straps. Although I do think the price is kind of high. 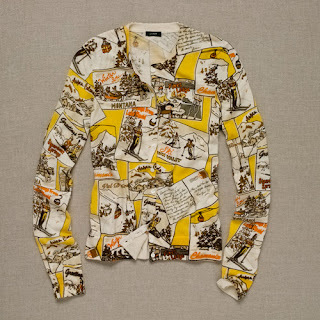 Neiman Marcus, $785. 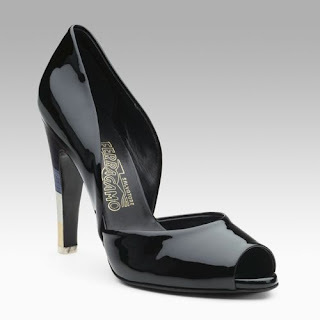 Looking at the front this patent heel by Ferragamo does not seem Spring at all, but the heel totally compensates for that. The heel treatment is just gorgeous and so unusual - almost painted looking. You can find them at Saks for $570. Last but not least (okay, I guess it is least - the least expensive of the bunch) are my favorites - Stuart Weitzman's Sashay Peep-Toe Pumps. 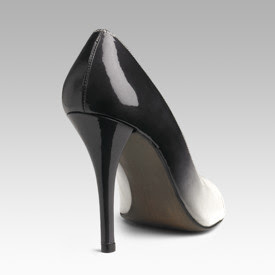 These are also available in black patent and fire (red) patent but I like the black/white version best. Not that this is cheap, but they are only $270 at Saks. So pretty and a great heel shape, which I am also a sucker for. I can't wait to mix some of these into my wardrobe. I'm not sure if it would be overkill, but I'd like to pair a blue/white gradiented dress with the Weitzman's. Target isn't wasting any time with getting you excited for Spring. They have a ton of new shoes in their Spring Preview. 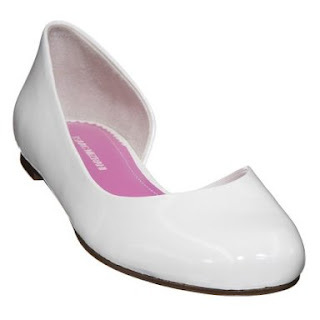 There is a pretty wide variety styles including flats, skimmers, heels, wedges, wellies, thongs and sneakers. You can find some dressy styles and casual ones too. But on the whole, I wasn't overly impressed, just as I wasn't overly impressed with the Hollywould line that they did for the holidays. Loeffler Randall is their designer line for Spring. And I hate them. I saw some of them in stores today and they look really crummy. 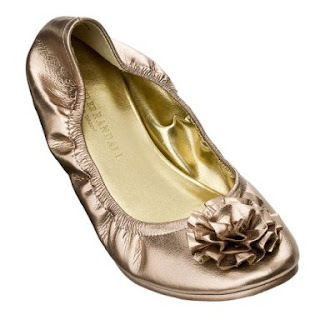 I really hate these Cinch Flats which come in Gold, Rose, Black and Brown - $29.99. I think they look like 1960's old lady house slippers. 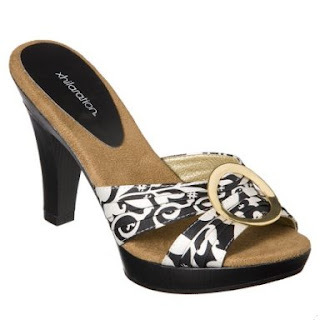 I also saw these Mossimo Danae Peep-Toe Pumps which come in giraffe, zebra, "natural" linen and black patent for $26.99. These are bad knock-offs of Steve Madden knock-offs. They look clunky and are not well done - they look better in the picture. If you see them in person, let me know what you think. I don't like these Xhilaration Tera Sandals in black and white floral either. Tacky. $17.99 is too much for them. They come in a multicolor print and a "natural" color as well. In theory these Merona Amber Chop-Out Flats (nice name) are cute but in reality the material isn't that good and they are kind of clunky. They are $22.99 and come in Pewter, Brown and Black. 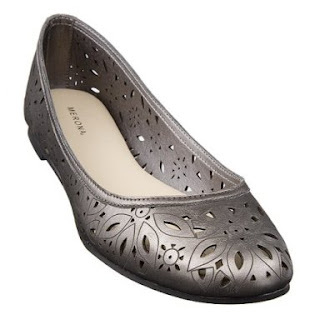 I haven't seen these Mossimo Deann Cut-out Flats in person so it's hard to say but the odds are they aren't great. But they're only $19.99 and come in black, white and pewter. 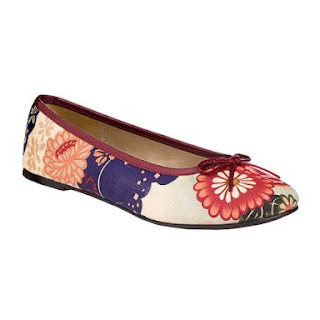 These Xhilaration Sable Floral Ballet flats in the red pattern (also in a "ribbon tapestry" style, gold and black) aren't bad, they just aren't as cute as the ones I'm going to show below. They're $14.99. 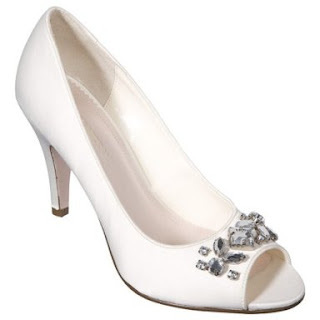 But there are a number of shoes on there that I feel are really cute and have a lot of potential. Here are a few of my favorites. I think these Merona Alice Slingbacks are very sharp. The patent could be tacky but in the picture they have a much higher end look than their $22.99 cost. They have some cute new moccasins for spring but for a white version I prefer the Isaac Mizrahi Alysia Driving Moccasins in winter white. They're on clearance right now for $14.99 and also come in brown nubuck, black patent, silver, oxblood patent and broccoli patent (broccoli???). These are great to have in your car for driving instead of getting your nice shoes all dirty from the car pedals and mats. 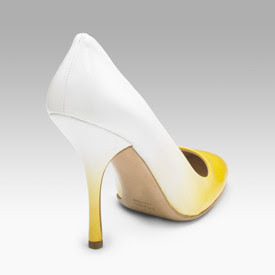 I don't know why I like these Mizrahi Beth Peep-Toe Pumps in cream but I just do. They look very icy and sparkly. They're $29.99 and also come in black satin with black crystals. I know strappy mary janes have been done but I think the shape of these is so good. I like that the straps are really low on the bridge of your foot too. 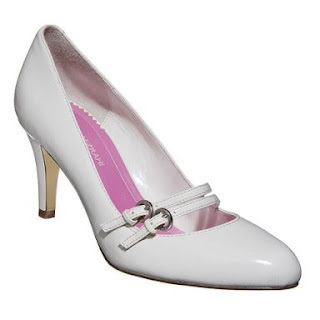 They are Isaac Mizrahi Chris Mary Jane Pumps for $29.99 and come in cream patent gray, red patent and black. 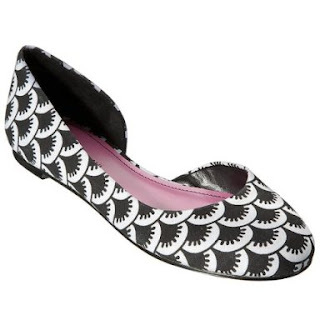 Didn't I just say that I thought the Mizrahi Drew Print Ballet flats were hideous? Well, they are, but if you like the shape, I think you should get them in this pattern. It is graphic and interesting and hides the clunkiness. They're $29.99 if you like them. Here are the cute new moccasins for Spring. 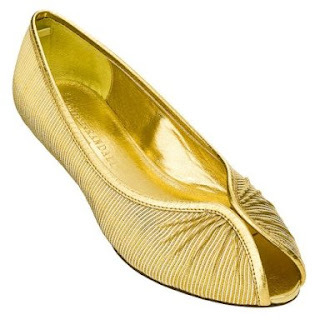 They are the Mizrahi Gail Leather moccasins and I just love them. Typically I would get the pink version but I already have a pair of pink moccasins from last year (they also come in a great preppy green, a black and navy) but I think I prefer the yellow. 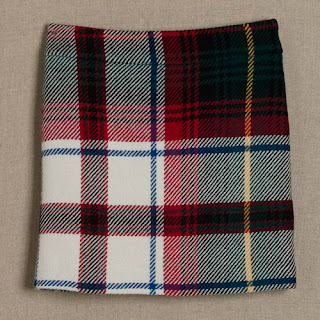 They will go really well with my new JCrew Postcard cardigan. They're $29.99. 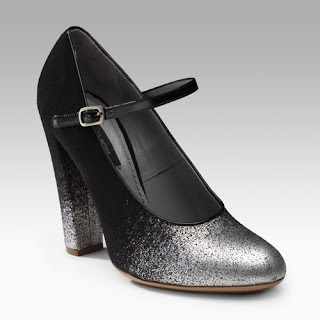 How designer-y and cute are these metallic Mossimo Daria Woven pumps? 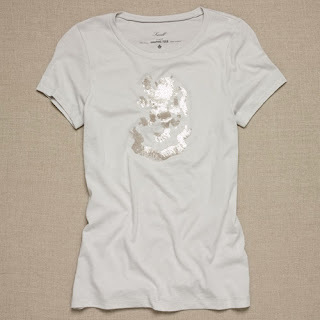 Perfect with jeans and sundresses and only $24.99. 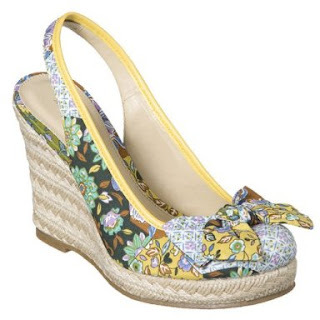 I love espadrilles and wedges for Summer. These are so cute and cheap enough to be a seasonal item. They're only $22.99, have a cute floral pattern and also come in a coffee brown with a patterned ribbon. Xhilaration Tiki wedges. A little animal print can go a long way, as we all know. 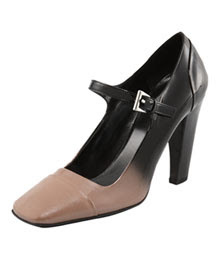 Wear these kitten heels under jeans or pair them with opaque black hose now for a little roawwwrrrr action. 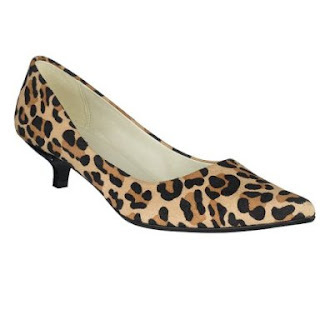 This Mossimo Dierdre style comes in the leopard, brown, black, black patent, silver, gold and zebra print. $24.99. 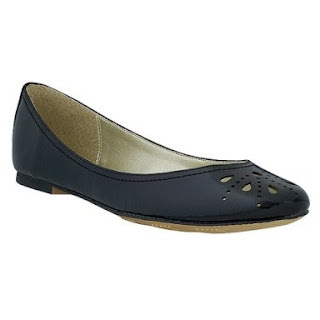 And last, but not least, my favorites - the Mossimo Deann flats. 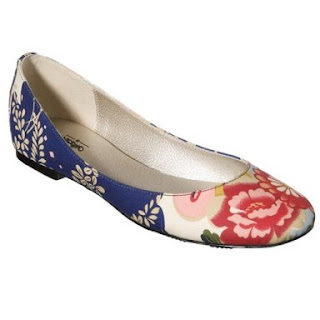 When I was in high school I had these adorable peachy pink floral fabric flats from Gap. They were so cute and I just loved them. I totally wore them out but kept them for years because I loved them so much. These remind me of my original pair. I have to, have to get them! I'll wear them all summer with jeans and it will be like I'm back in my senior year of high school. Is that a good thing? Probably not, but the shoes were cute! 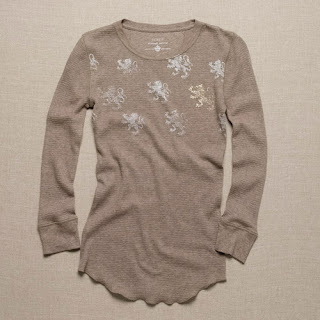 There you go, affordable but cute options from my favorite retailer. I know I tend to appear biased to higher end shoes but I do think Target (and Gap and Old Navy, etc.) can have some really inexpensive but very wearable styles. As everyone knows, the days after the holidays are all about doing the "Present Recap" (also known as the "Present Scorecard" in some circles). We have tons of lovely friends who gave us delicious treats and sent some beautiful cards. Our gifts out were one of our favorite cookies - Lavender Sables - which are kind of a French shortbread and so so yummy. 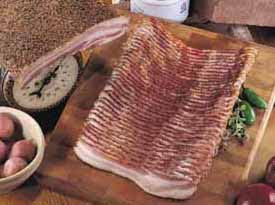 If you want the recipe, just drop me a line. We have out gifts to other co-workers and family members, most of which we had to ship because they all live far away. As for the husband and I, we don't do a huge bunch of gifts for each other usually because we get stuff all year long. Plus we just had our amazing trip to the Grove Park Inn, so it was pretty sparse beneath the tree this year. 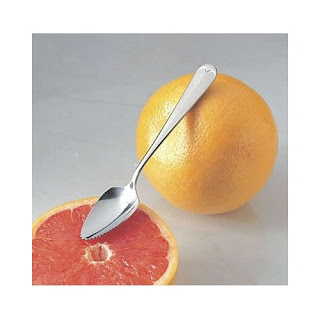 and spoons (four of them). He also got these amazing organic really sweet grapefruits from South Tex Organics. Now the knife and spoons make sense, right? We had some delicious bruleed grapefruits when we stayed at our friends' bed & breakfast (the Adora Inn) in Mount Dora for the wedding we were both in. They were so delicious, I wanted to recreate the meal. And they are really good. 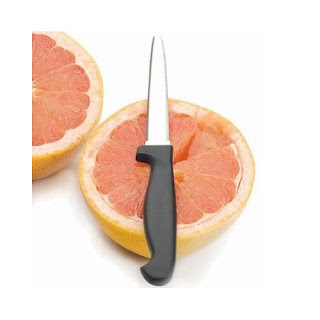 And I don't even typically like grapefruit. I also bought some Meyer's lemons, which I'm going to make into delicious lemon gelato and lemon curd. The hubby also wears a lot of t-shirts since he works from home and he also loves funky fun shirts. 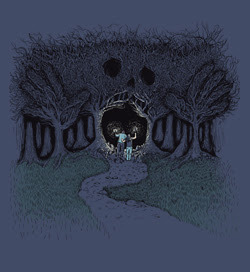 Threadless is a wonderful resource for unique shirts, and they aren't that much either. I got him this shirt which is per-fect for him. He kind of likes the creepy stuff. This one is called "Ad Noctum" You can click on the images to see them bigger. 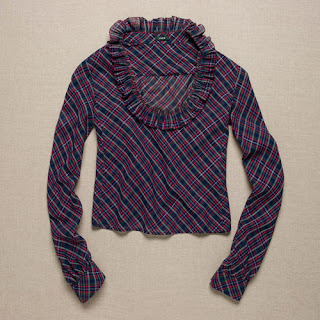 He also got this shirt which I think is weird yet adorable. It's called "Star Men in Moon's Milk". How cute is that???? His "big" gift was this book. 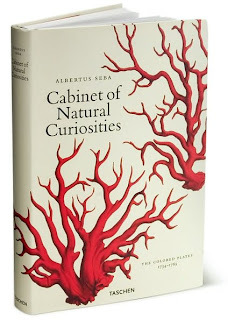 It's the iconic Albertus Seba "Cabinet of Natural Curiosities". This is, yes, a reproduction but it's still amazing and filled with the best illustrations. We have some actual vintage illustrations like these throughout our house, so this is perfect. It's also a book you will see in many professionally decorated homes because the colors are just so great. It's a perfect book for us and our house. Albertus Seba's "Cabinet of Curiosities" is one of the 18th century's greatest natural history achievements and remains one of the most prized natural history books of all time. Though it was common for men of his profession to collect natural specimens for research purposes, Amsterdam-based pharmacist Albertus Seba (1665-1736) had a passion that led him far beyond the call of duty. His amazing, unprecedented collection of animals, plants and insects from all around the world gained international fame during his lifetime. 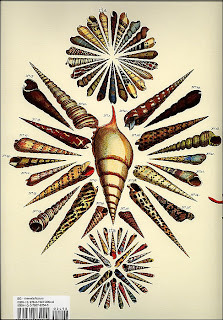 In 1731, after decades of collecting, Seba commissioned illustrations of each and every specimen and arranged the publication of a four-volume catalog detailing his entire collection - from strange and exotic plants to snakes, frogs, crocodiles, shellfish, corals, insects, butterflies and more, as well as fantastic beasts, such as a hydra and a dragon. So that was kind of it. I got lovely and fun things as well. My parents gave some $$$, which I've totally spent already, and a new picture of them which I need for my office. 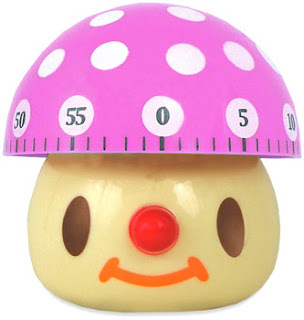 One of my co-workers gave me this adorable mushroom timer from FredFlare (you have to see my office to know why this fits in - I have a ton of pink in there to liven up the boring grey cube). My in-laws gave me a big 'ol Target gift card, because, ya know I love the Tar-get! 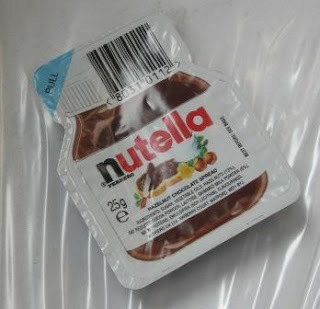 In my stocking from the hubby I got some treats - single serve Nutellas! I also got an iTunes gift card - furthering my iPod library investment. My "big" gift was a necklace from Ananda Khalsa necklace. When we were at Grove Park Inn, they have a store featuring all kinds of goods from local artists. Ananda does these amazing jewelry pieces which are made from little paintings that are then set in silver or 22kt gold with hand-ground glass. My three-strand necklace is in the "Bluebirds with Plum Blossoms" series and has aquamarine briolettes under the pendant and at the clasp. It's so lovely and perfect because I love unique jewelry, as well as supporting local artists. 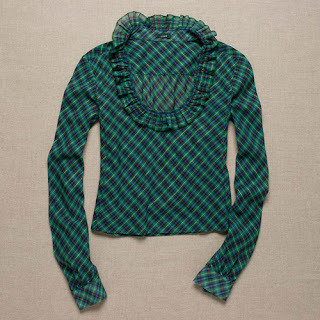 It will be perfect to wear in the Spring. As you can see, we all do a lot of shopping online but we also supported a lot of artists and artesianal companies. Not only do we get unique gifts but we support the hand-made, small scale movement. I can't wait to see what gifts other folks got and what they gave. Well, we went and shopped. What we were supposed to be out shopping for were new dog beds for the pups and kitties, a new sweater for my oldest pup (since he's all knotted up and I'm going to have to give him a haircut and he's going to freeze), and some kitchen stuff from Sur La Table (yes, I desperately needed a new butane refill for my brulee torch, it's been hell having to broil our Christmas grapefruits, and I need CO2 cartridges for my whipper and, yes, I needed to get Rose and Lavender extracts to possibly make some yummy cupcakes and frosting!). And we got all those things including the two largest dog beds I've ever seen. I think I could sleep on one of them comfortably. But I also stopped into JCrew (it's right next door!) and they had all this stuff marked down and then they were taking an additional 25% off! I'm serious! 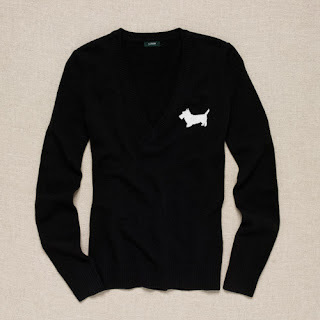 Vintage Glitter Critter Waffle Tee - marked down to $15 (from $39.50) Mine's actually Scottie dogs and one Scottie is gold. Pretty good, huh? A lot of these are available online but in limited sizes. And I've noticed they are going fast, so head over to the final sale!